Don't get me wrong, I want kinds, its just that it really sunk in when we went to the docs office and I watched as a tiny little human moved around inside the wife's stomach, well not necessarily her stomach but you know. It has been 4 months now that we found out that we were going to add another Macias to the clan, and well so far so good. There hasn't been any surprises “yet” as I am still skeptical about what goes on in that body of hers. 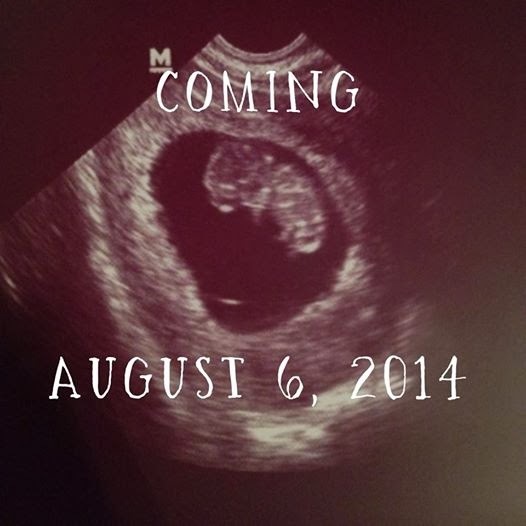 She has not had any morning sickness….cross my fingers….but it’s said that it’s different for everyone and I hope so, because the last time something like that happen…..well let’s just say it wasn’t nice. However there is one thing that I have noticed, I have to wait a good period of time before I take my boots off when I get home from work, because I as soon as I do she will say that she wants to go and see if they still have this baby thing on sale or she didn’t cook because she was in the mood for some type of food that just happens to not be in our pantry, I guess you can call those cravings but I don’t know what you call the other part where she goes out and buys stuff. I take it as it goes for now because I don’t know what to expect and also it really hasn’t entirely hit me yet. There are a couple of books out there that help women kind of understand what to expect but nothing out there “that I know of” for the men going through this, so I will write what I experience these next few months.